If you happen to drag yourself out of bed before noon on a Saturday and tune your TV set to a broadcast network, you might notice something missing. Specifically, what you’d recognize as a traditional Saturday morning cartoon. NBC, the last holdout, has confirmed that it will exit the preteen market in October when it switches to a three-hour bloc of Saturday morning shows targeting kids aged 13-16. Why? 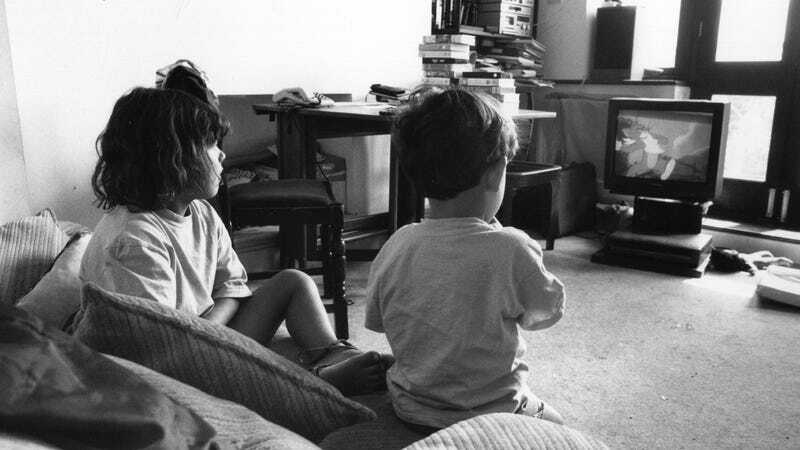 Deadline points to some byzantine technicalities related to The Children’s Television Act of 1990, which mandated that networks provide a certain amount of educational content for kids, while stipulating it couldn’t have too much advertising. Only, there was a loophole. Of course, another big factor is the rise of cable networks devoted wholly to kids’ content, as well as streaming services like Netflix, which make it possible for children to binge seven days a week on the more portable screen of their choice. Guess it beats whatever they’d be watching on the Internet. Anyway, here is your opportunity to reminisce fondly about Recess, Pepper Ann, and One Saturday Morning generally.